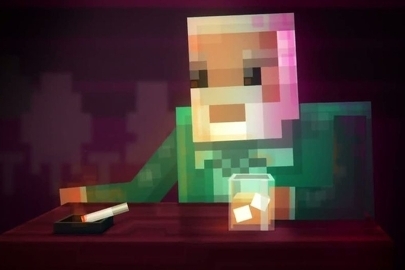 Get ready for the heist of the year, playable on your couch via XBLA this Friday, May 10th. The sensational Monaco: What's Yours is Mine has already been making ripples in video game headlines, delivering devious joy to critics and players alike. 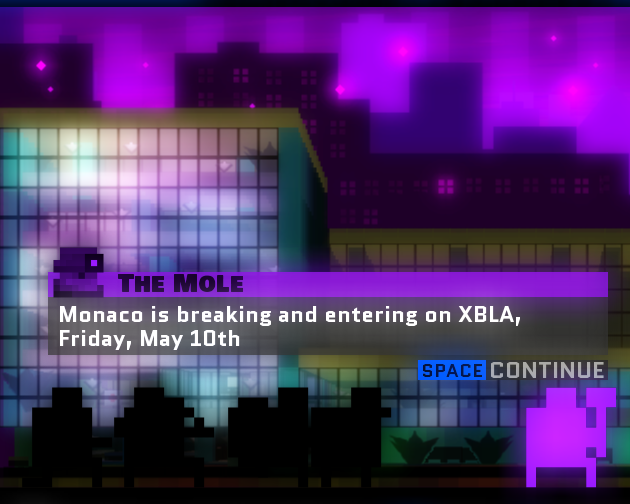 Originally slated to release with the PC version of the game on April 24th, Monaco for XBLA has been in Microsoft Certification limbo for what seems like an eternity due to a fatal game bug. The bug in question would have caused disconnects during online play. Rather than elect to release the game with the issue and attempt to fix it later down the road, Pocketwatch Games wanted to nip the problem in the bud. They did so, and the gaming world has been waiting desperately for the game to pass the Microsoft Certification process. And the day will finally come this week. It is certainly safe to say that Monaco comes as a highly recommended title. Our own Jason Love gave it a rave review, and I know a few of our other staff members have been playing it quite a bit. For a read of Jason's review of the PC version of Monaco, take a look here. We scored the game a 5/5 for cooperative play, and even awarded it an Editor's Choice title. It is definitely worth picking up, and now is the time to grab a XBLA points card for the imminent release. Monaco: What's Yours is Mine will be available for 1200 MSP, or the equivalent of $14.99. It supports cooperative play with up to four players both online and locally.